NOW WITH FREE PALEARCTIC BIRDS BOOK! 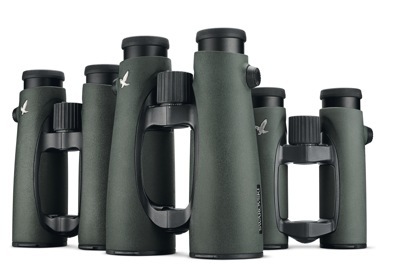 The new FieldPro package has enabled SWAROVSKI OPTIK to enhance the EL Family in terms of comfort and functionality. 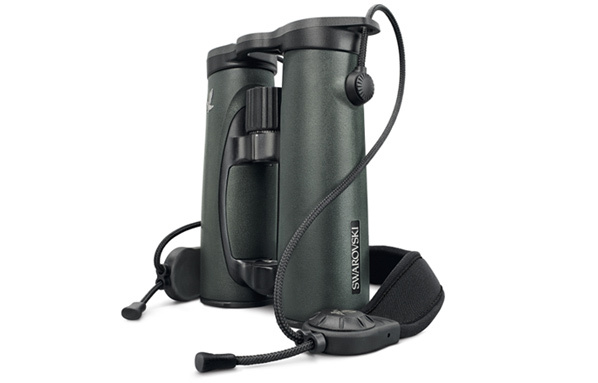 Functionality is smartly integrated into the binoculars’ elegant design. This refined interaction between numerous brilliant details provides that all-important edge. The newly designed carrying strap with a 360-degree rotating connector is perfectly adaptable to any movement, enabling you to swap and remove the strap easily and almost without making a sound. The new, straightforward strap connector allows you to attach the cord to the binoculars using a bayonet connector (which you press and turn counterclockwise to open). This new quick catch button on the carrying strap allows you to adjust the length of the strap to the ideal position in a quick, straightforward manner. simple to open and close). supplied for the steel rings. operate, even when wearing gloves. Great importance was attached to a design concept based on integration, whereby the individual operating features and connections are integrated even more seamlessly into the whole concept from a functional and esthetic perspective. All the interfaces and operating features are now produced without exception in black. that when the products are presented in window displays, the brand name will also be more clearly identified when viewed from the side. It goes without saying that the new EL Family also offers wide-angle eyepieces, 100% suitability for eyeglass wearers, and SWAROVISION technology, however,product names no longer include product features like W, B and SWAROVISION. SWAROVISION technology from SWAROVSKI OPTIK is synonymous with the ultimate in optical image quality. This technology offers outstanding features such as field flattener lenses, HD optics, high-quality coatings, and the perfect eye relief, which result in unique visual experiences and outstanding viewing comfort. With their wide-angle eyepieces, the binoculars in the EL Family offer a large field of view for maximum observation. This is achieved through the most efficient calculation by the optical system and the minimum production tolerances. The position of the exit pupil (large eye relief) ensures that a 100% wide-angle field of view is also provided even when observing while wearing eyeglasses. new lock function prevents any adjustment occurring accidentally, with the diopter adjustment’s set position being fixed permanently. Thanks to the mechanical precision, the shortest focusing distance of 1.5 m (EL 42) can be achieved without any loss of quality (EL 32: 1.9 m; EL 50: 2.8 m). Due to the new strap connectors the EL binoculars´ footprints (width dimension) have changed fractionally. Otherwise, it is the same size as its predecessors, with minimal changes in terms of weight (8x32 is 595 grams).